SUNLIGHT. FINALLY. Time to over-optimistically pack away my collection of umpteen-denier black tights. After that, time for something cold and tasty. 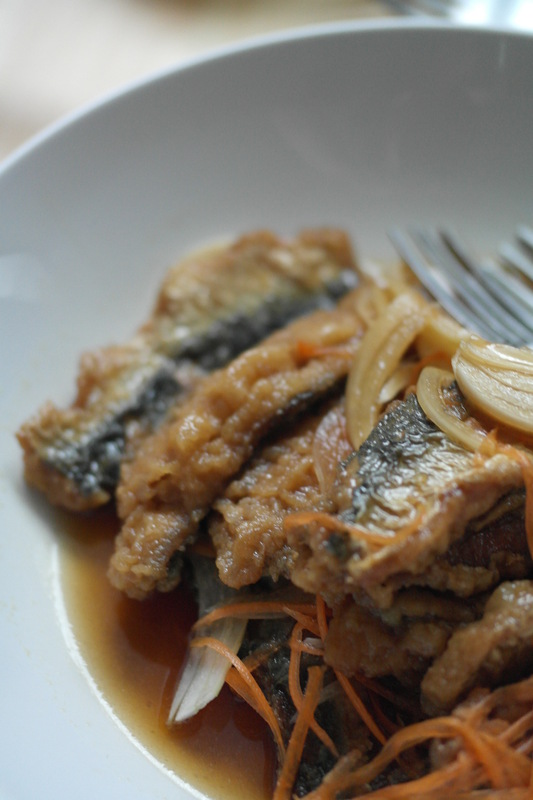 This is one of my favourite cold dishes – quickly fried sardines that are then left to enjoy a sweet-sour marinade in the fridge. It always used to accompany me up mountains on hikes when I lived in Japan – because getting to the top of the m*****f***ing mountain would mean that I got to eat this and a few jelly pots. I respond to juvenile incentives. Nanbanzuke is loosely based on escabeche, brought to Japanese shores by Portuguese sailors (along with Christianity, which only really caught on because everyone thought rosary beads made an awesome accessory. Some things never change). 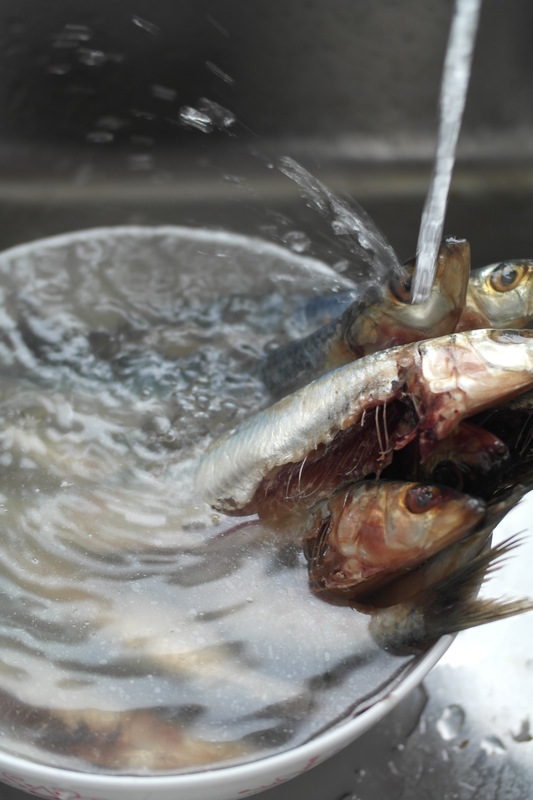 I like using sardines for this because they stand up to frying nicely and also make for good packed lunch size – you can use other oily fish like salmon too. Fry a couple of fish at a time in a wok of hot vegetable oil (not too many or the oil will lose heat) until golden and crispy. Drain on kitchen paper.